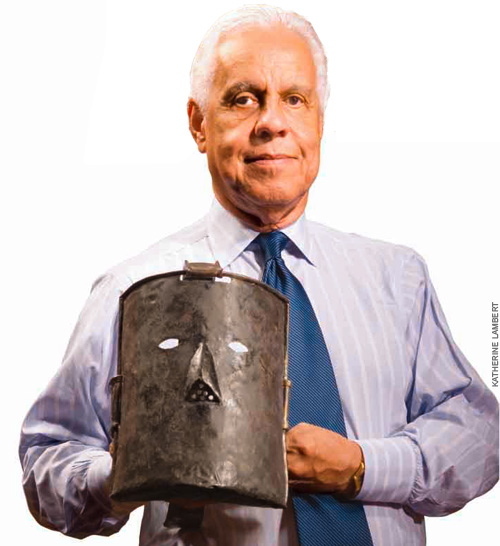 As the chairman of the Board of Directors of the U.S. National Slavery Museum (USNSM), I would like to express the board’s gratitude to Governor Robert F. McDonnell for including funds in the biennial budget to help the commonwealth, the city, and our institution begin the process of locating the USNSM in Richmond. The actions of the governor have shown an appreciation for the importance of us telling this story, and the appropriateness for that to happen in Virginia and its capital city. This nation is a mere five years from commemorating the 400th anniversary of the first Africans being forcibly brought to North America and sold into involuntary servitude — slavery — in 1619. That event and that institution shaped the history of America’s founding, and continues to ripple through to this very day. Those first slaves were brought to Virginia and sold in Virginia. The USNSM will work with the commonwealth and the City of Richmond to create the type of sober and reflective remembrance of the 400th anniversary at a facility in Richmond, and it will be done in a way that will allow it to be ongoing and timeless. The institution we create will not merely mark a point in time; it will be formed to stand the test of generations. The seed money the governor has planted with us today will make sure no one ever forgets the ignominy initiated on these shores — one that tore families, stained portions of this great country’s effort to herald freedom and equality, and led to the bloodiest war in the history of this nation. I thank Governor McDonnell for this act of leadership, and I look forward to working with city and state officials to bring about the fruition of this dream.